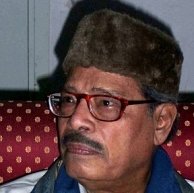 Legendary Singer Manna Dey passed away this morning, 24th, October, 2013 at 3:50 am. The singer was apparently suffering from a lung infection and was admitted at a hospital in Bangalore where he breathed his last. Manna Dey, who was 94 when he passed away, was a recipient of the National Film Award, Padma Shri, Padma Bhushan and the Dada Saheb Phalke Award. The singer had rendered his voice in songs like Yeh Kahani Hai Diye Aur Toofan Ki" "Aye Mere Pyare Watan" and "Laga Chunari Mein Daag" to name a few. Apart from Hindi songs Manna Dey sang songs in Bengali, Bhojpuri, Punjabi, Assamese, Oriya, Gujarathi, Marathi, Kannada and Malayalam. Behindwoods expresses its deepest condolences to the family and close ones of Manna Dey. Why was Pandianadu granted a U/A ? People looking for online information on Manna Dey will find this news story useful.